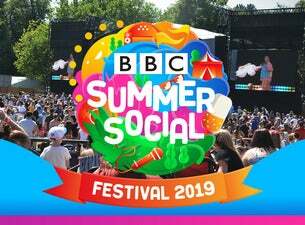 BBC Summer Social returns to Croxteth Country Park in Liverpool this August offering an even bigger and better line-up and now encompassing even more of the BBC’s best programmes for the whole family. Saturday sees a big pop line-up on the main stage along with CBBC favourites; Max and Harvey Amelia Gething Lewys Ball Rosie McClelland Holly H, broadcast live on the CBBC channel and on BBC Radio 2 with Jo Whiley. She’ll welcome the biggest CBBC stars to the Radio 2 studio at Croxteth Park, as well as headliner music acts. Busted take to the stage along with John Newman, Nina Nesbitt and Freya Ridings with performances from big CBBC shows like Almost Never. The perfect feel good day for the whole family! Sunday is pitched towards younger festival goers, with Mr Tumble headlining the main stage alongside Andy Day & The Odd Socks, Dr Ranj, Yolanda, Cook and Line from Swashbuckle, Hey Duggee and special live performances from big family shows. Plus, they'll be broadcasting live on CBeebies from the festival for the first time ever. Across both days you won’t be stuck for something to do – the BBC Sport field is chock full of different sports for you to try your hand at, from tennis, to parkour and a Match of the Day Kickabout challenge. There’s loads of Doctor Who fun, a supersize Bedtime Stories tent, a Blue Peter Garden to relax in, performances from big CBeebies and CBBC shows including The Worst Witch and an entire field of inflatable fun – including the world’s biggest bouncy castle!